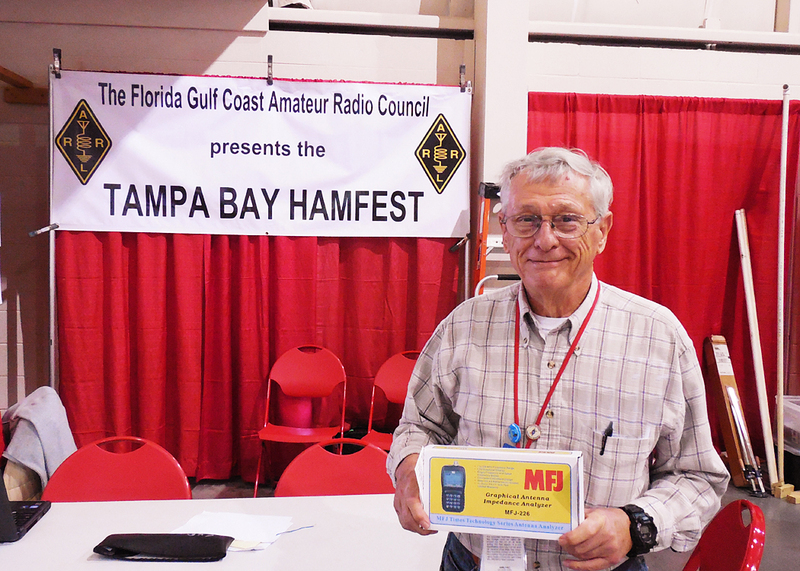 The Tampa Bay Hamfest was a great success. The new venue was much nicer that last year, and there was no shortage of vendors. 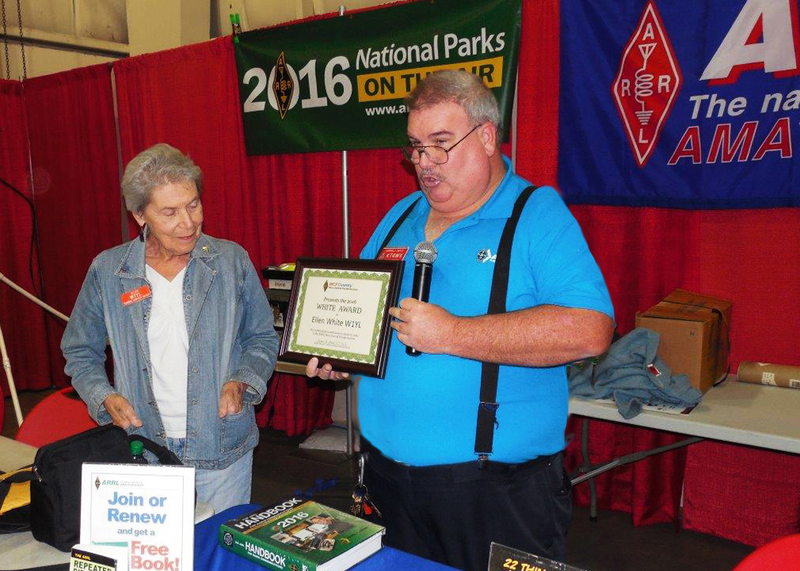 During this event, Ellen White became the first to receive the "Ellen White Award" for outstanding contributions to ham radio over the years. Ellen will tell you that it was her invitation to speak at LARC last year that got her back into ham radio, along with the support of several friends. Ellen, you are an inspiration to all of us. Bill KI4ZMV, LARC's secretary and blogmaster, who won grand prize in the drawing. Bill is a happy camper, and will make good use of this new tool to insure the next club build project, 2 meter, 70 centimeter j-poles are tuned properly after assembly.